I know. It’s been a long while since you’ve seen my face — waiting for the house lights to go down, the curtain to go up, and the world to go away for a couple of acts. 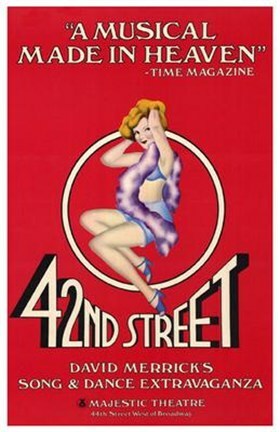 I grew up going to more of your shows than I can count — mostly the musicals — at a time when Times Square and environs were seedy and your marquee lights signaled a brilliant haven from a grimy outdoors. Without fail, whether I was 8 or 38 at the time, it took no more than one irresistible song, one great costume, or one single spot picking out the leading lady in the darkness, for me to imagine myself up on the stage. Which is funny for more than one reason. My tune-carrying abilities are questionable. My comfort level in speaking — let alone singing — in front of large groups (translation: more than 6 people) is not much above sea level. And my tolerance for hot lights, heavy makeup and high notes is minimal. 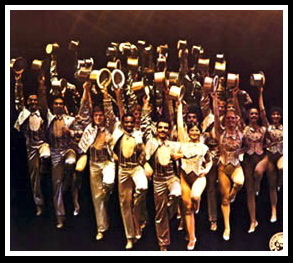 Of all the productions I saw, A Chorus Line affected me the most profoundly. The idea of following one’s passion, no matter what it takes, to do what one loves, is a mantra I’ve long espoused. And while I do what I love (writing) wearing Gap sweatpants and an old college t-shirt instead of gold top hat and tails, my passion rivals that of any Broadway baby. It’s not the same in LA. The number of theaters and their proximity to each other doesn’t come close to your offerings. And in this land of infinite sunshine and stars, where movies rule, the musical theatre experience just doesn’t fit as well for me. It’s like a fabulous winter coat — it may look great in LA, but it’s not vital the way it is in New York. So thank you, Broadway, for giving me a creative compass. An appreciation for the power of the arts. And a love for applause. Keep on singing that enchanting lullaby.